What worldly passions do you struggle with the most? What needs to happen for you to have a victory over those passions? “Sin” isn’t a very politically correct word. Heaven forbid that we tell ourselves that something we’re doing is bad or wrong- or only that it’s bad or wrong because it’s out of context or to excess. Criticism might hurt our little self-esteem. Unfortunately there are times the word “sin” is exactly the word we need to hear, and we need to take the admonition of Scripture when it comes to correcting our behavior, even when it’s not politically correct or “nice” to point out the ways in which our behavior falls short of the glory of God. 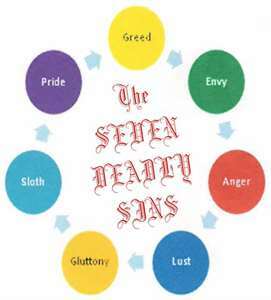 The apostle Paul didn’t exactly come up with the same Seven Deadly Sins we know today. But as a fan of Dante’s Divine Comedy, I see the Seven Deadly Sins as being helpful in understanding human nature, and the nature of sin, and for examining my own sin. The most comprehensive list of noteworthy sins that the Apostle Paul enumerated can be found in Galatians 5:19-21: Now the works of the flesh are obvious: fornication, impurity, licentiousness, idolatry, sorcery, enmities, strife, jealousy, anger, quarrels, dissensions, factions, envy,drunkenness, carousing, and things like these. I am warning you, as I warned you before: those who do such things will not inherit the kingdom of God. (NRSV)” The Apostle Paul wasn’t one to either be politically correct, or to mince words. 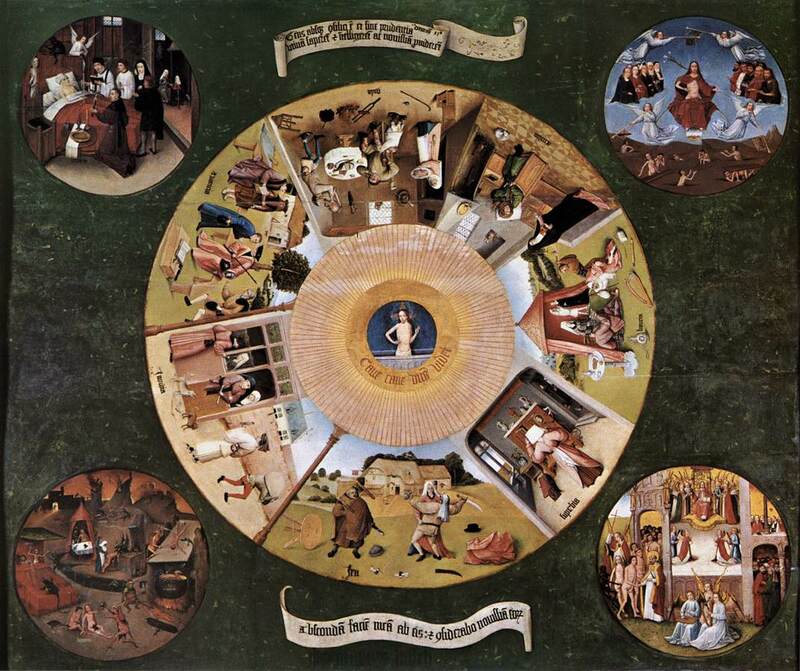 The current Seven Deadly Sins list actually goes back to Pope Gregory I, who was working from an earlier list of sins – “Eight Evil Thoughts,” written by Evagrius Ponticus back in the 4th century. While the specifics of fleshly lusts to avoid are different in both the Colossians and the Galatians text, and the Apostle Paul does not specifically mention pride, he does mention idolatry, which is a form of pride. I’m guilty of idolatry when I put anything I want, anyone, or anything above God. I’m guilty of the sin of pride when I assume my way of doing things is the best way. I’m guilty of the sin of pride when I think that somehow I am above judgment when I indulge my lusts even when I know that what I want is wrong. 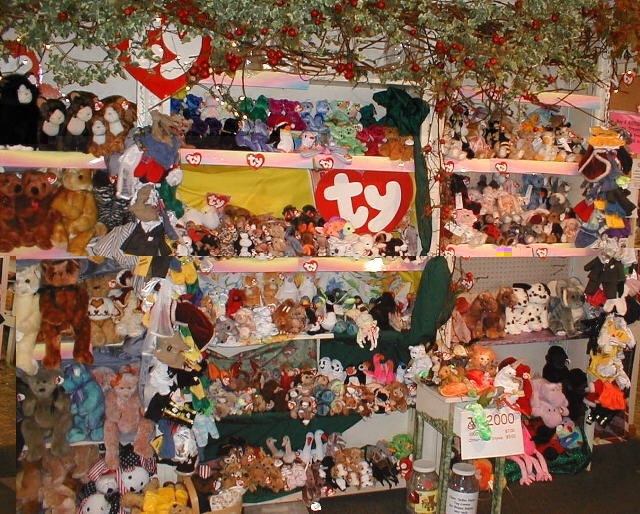 No, I am not into Beanie Babies, but I can’t think of any logical or sane reason to have this many of them. I may not have 1000 Beanie Babies cluttering up my shelves, but I am guilty of the sin of greed when I stock up on things I may not really need because I am afraid of running out, or that I might miss out on something “everyone else” already has. I know full well nobody on earth needs 50+ pairs of shoes- but I have them nonetheless. Having too much stuff is a problem for me. It comes from growing up poor and always being worried about not having enough food or appropriate clothing or other essential needs, but what makes the acquisition and stockpiling of stuff wrong is that it demonstrates my lack of faith in God’s provision. Jesus said He would provide for my needs and I shouldn’t be obsessed with the overwhelming need for anything. Didya think I would show a pic of a chick when I’m talking about lust? I am guilty of the sin of lust when I am consumed with desire for something- or someone. 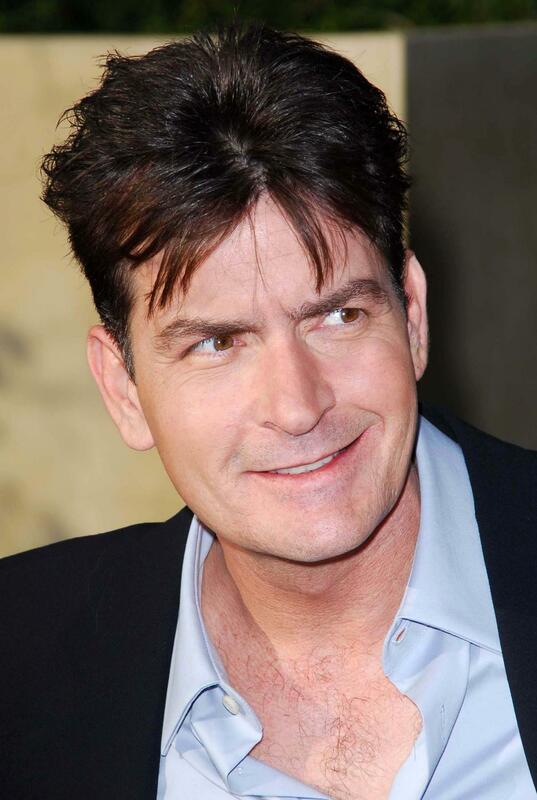 (No, I don’t lust after Charlie Sheen- any more!) Lust is not as huge of a problem as it was for me at one time, and I’m very thankful for that. As someone who was married and lived many years involuntarily celibate before my husband died, lust has been a huge temptation. It is only by the grace of God that He has kept me from making unwise choices that might seem exciting and fun at the time, but that I know I would regret later. I’ve been down that path in the past, and it leads to nothing but guilt and shame. By the grace of God, I don’t want to go there ever again. In all seriousness, I’m a work in progress. I know I need to go through my stuff and get rid of those things I really don’t need. I have issues with the acquisition of stuff and I am bound up in the tyranny of stuff. I need to get rid of a lot of stuff. I don’t need to stock up on every single item that goes on sale even when I have the means to do so. I struggle with scarcity mentality every day and it’s difficult for me to trust God for daily bread instead of wanting to stockpile for months and years to come. When I’m struggling to pay for scripts and bills it’s really hard to trust that God will provide even though I know He does, and He will.